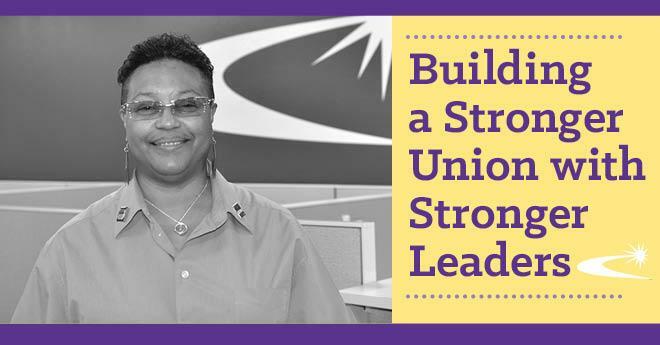 With 22 years of state service and a career marked by supporting her fellow workers, Barbara Bumpers is stepping up to become a stronger member leader in our Union. She’s taking leave from her job as a Mailing Machine Operator II at DMV headquarters in Sacramento to become part of the team at our Member Resource Center (MRC), where she’ll provide answers for members seeking more information about our contract and our Union. Joining the MRC is a progression in Barbara’s leadership development. As a Union Steward and as a District Bargaining Unit Representative for Unit 4, she’s been on the front lines of organizing her fellow members in our fight for our recently ratified contract. “Making a direct connection with members and working together to solve problems will help me become a better leader,” she said.